When consumers don’t clean their plates completely, there are only a couple of ways to dispose of food waste. One of those ways is with a commercial food waste disposer. Commercial food waste disposers are efficient, easy-to-use and environmentally sound. 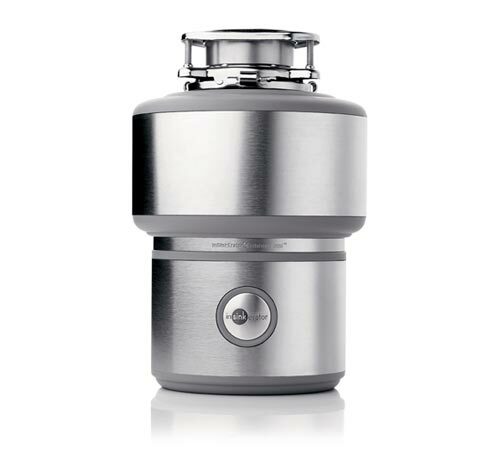 The people at InSinkErator have put together some great information on how to properly use a disposer, the differences between commercial and residential food waste disposers and the benefits of using a commercial food waste disposer. Turn on disposer before feeding food waste gradually into disposer. After grinding is complete, turn off disposer and let water run about 30 seconds to flush drain. Food waste items that SHOULD be placed in disposers include: fruits, vegetables, meat, poultry, dairy, breads, grains, bones and seafood. Food waste items that should NOT be placed in disposers include stringy and fibrous materials like: artichokes, pineapple tops, corn husks and oyster shells. Other common kitchen items that should NOT go into the disposer include: silverware, soda cans, glass, lids, plastic wrap, latex gloves and corrosive chemicals. Helps reduce: Truck emissions, landfill methane emissions, landfill leachate and water table contamination. Food waste can be recycled into renewable energy and fertilizers. Makes recycling easier by helping separate food waste from bottles, cans, plastics and paper. Some InSinkErator models can reduce waste by up to 85%. If you’d like to learn more about commercial food waste disposers click here.